Lee Soo Kyung (Lee Soo Kyung) is a 33-year-old single woman who lives alone in the apartment. She was divorced in her 20s. She works at a small law firm and believes that she believe that anything is possible for a single woman. At the same time, she loves to eat all kinds of delicious food that she easily falls for. There are two neighbours that she is close with. 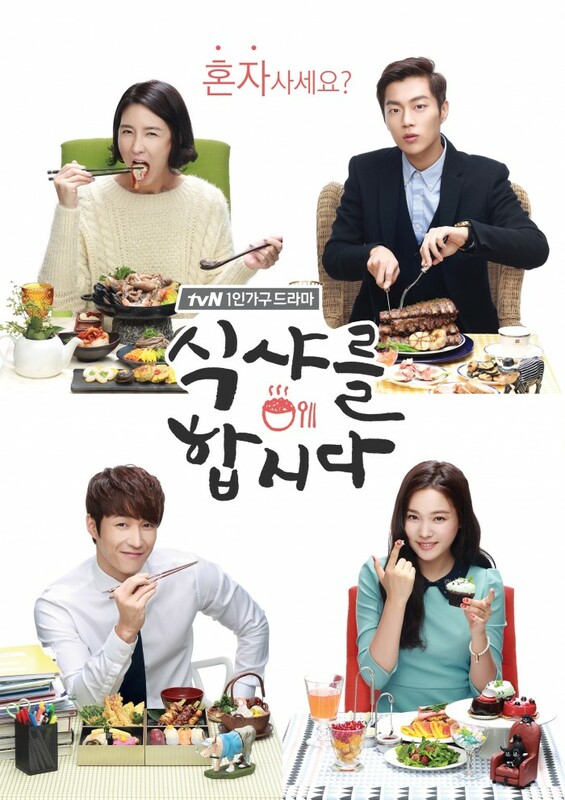 Goo Dae Young (Yoon Doo Joon) is a food blogger and lover who expresses food wholeheartedly while Yoon Jin Yi (Yoon So Hee) is a naive rich girl who tries her best to live a normal life. Soo Kyung’s boss, Kim Hak Moon (Shim Hyung Tak) has a one-sided love for her for ten years. Meanwhile, love, especially for food, is in the air, while finding who is the ‘Don’t Ask’ murderer who has been lurking around the apartment area. For me, it’s the first time I have seen a drama with so much, I mean a lot of, eating food scenes which make me crave so much that I want to eat them. Each character has different personality that is simple and attractive. Soo Kyoung has a mix of serious and cute personality while associating well with conversations with other characters and scenarios. Doo Joon has done well in being the funny and mature guy next door while being so expressive about the food. He explains every single detail about food, from how it should be cook to how it should be eaten. Other casts, who portrayed the characters, might be a bit annoying at first, but then, slowly after watching a few episodes, I started to like them. The eating food scenes (mokbang), each last about two to three minutes, made my eyes glue to the screen while my mouth was watering. While they were eating happily, I squeezed my hands with so much excitement. It can be annoying, sometimes, but I just can’t help but craving to eat the food that they are enjoying. These scenes could either be making you hungry or filling up your stomach with satisfaction. It was a really good idea to introduce a variety of food in Korea. I have already listed some of the foods that I want to try during my visit to Korea. While drooling over the mokbang scenes, there are three types of scenarios in the storyline: single life, love, and mysterious murderer. It was a good idea to place these scenes in between the two scenarios as I can just relax my mind a while from the characters’ story. However, there were some slight confusions between the shifts of different themes. Each theme can be easily spotted that the viewers can relate to but the flow of storyline doesn’t seem right. It started to slow down a bit at the later part of Let’s Eat drama series. 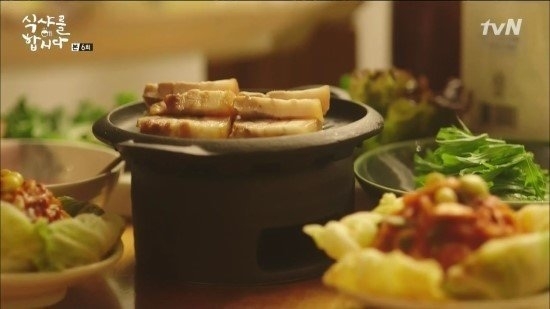 I enjoyed watching Let’s Eat because of the food the characters ate. It ignites, followed by satisfying, my cravings in eating these food. What a great way to show all kinds of food that viewers want to try. The characters might be annoying but, later on, you will start to like them. Even though the storyline has lack of connection with different themes, each of them has signified meaning that the viewers can relate to. A wonderful food-for-thought with hints of single life and love. As you watch the mokbang scenes, you will be mouth-drooling and craving for food within two to three minutes.